MUSIC DIRECTOR Angie Dolber grew up in western MA in a family that loved music and theater. In middle school / high school, she was in Show Choir and Chorus and performed in various school musicals. She continued her singing for 3 years in an a cappella group while at Norwich University. From January to December, 1998, she was a student in an international educational organization called “Up With People” where she traveled with 130 people from 21 countries doing a 2 hour broadway-style show in 60 cities throughout the US, Belgium, Austria, France, and Japan. In 2000, she was introduced to her first Harmony, Inc. barbershop chorus, The BarreTones in Barre, VT and sang with them for 2 years. After marrying in 2002, Angie moved back to MA and was a member of the Women of Note chorus for 12 years, being a section leader on the Music Team, Public Relations Chair, and being President for 3 years. Angie was honored to be named “Barbershopper of the Year” 3 times as well. Starting in June of 2012, Angie became the Director of NoteAble Blend. She sang tenor in the quartet, “Acappella 4” for 5 years, competing at Area and International Quartet contests; the group won the “Accord Award” for most improved quartet in 2015. Since Dec 2017, Angie has been singing baritone with the quartet “True Colors,” who placed 2nd in the Area 2 Quartet contest in April 2018 and placed 10th in the International Quartet contest in Orlando, FL last November. She and her husband, John, have been married since 2002; they live in Northbridge, MA with their daughter, Jenna, who also loves to sing! 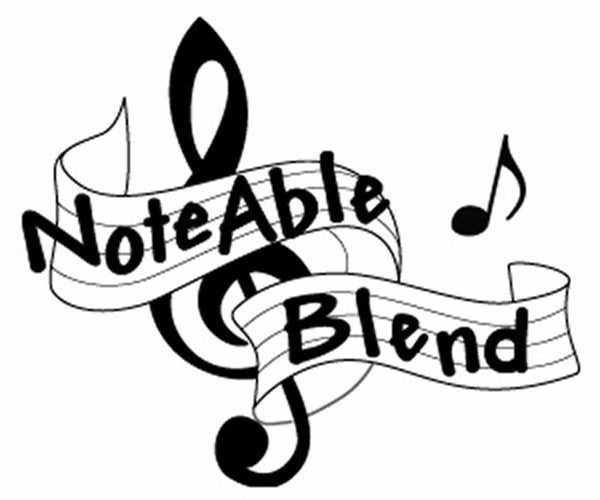 Angie has enjoyed directing NoteAble Blend and sharing their music with various communities throughout southeastern MA. ASSISTANT MUSIC DIRECTOR Denise Kelleher learned to play the piano at an early age, which set the stage for a love and appreciation of music. From that time on, Denise has been involved in a variety of musical adventures. Over the years, she sang with many church and community ensemble groups including “Encore” and the “SJN Lakeside Dinner Theater” group, and she participated in SJN’s Christmas music celebration. For the past 25 years, she has lead the music component for a special needs group in Stoughton. It has been a joy for her to share in the contribution of each member’s unique gift and voice. Yearly, Christmas and Easter pageants have been a highlight and an opportunity for all to share their joy and voices with their families and friends. Ladies barbershop style singing was introduced to Denise fifteen years ago. She sang with “A Classic Sound Chorus” and a quartet for five years. About ten years ago, she began singing with NoteableBlend. She has enjoyed working along with other chorus members to achieve a perfect blend of sound in the spirit of harmony. She has been a lead section leader for a few years and has been acting as assistant to the director for the last year.